I don’t usually like giving tours to large groups, but today we led a fairly successful Faith-based Freedom Trail tour of downtown Boston with a group of 11, and my first child guest! Okay, so it was my oldest daughter who went (age 8), but I was still impressed that she found it all interesting. The group was from my own Orthodox Christian parish, and enough Russians were present to insist on walking the entire way. 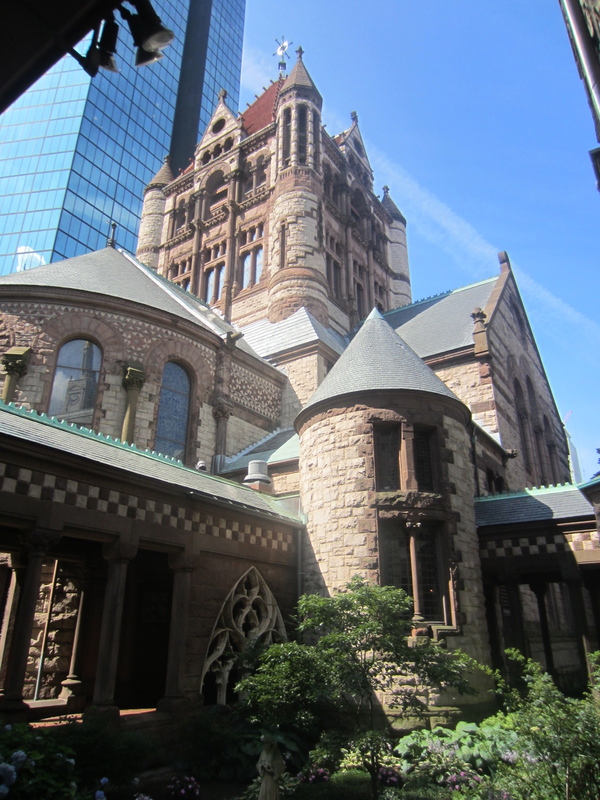 Usually to get to the section of the tour in New Boston (Back Bay) and behold the crown jewel, Trinity Boston, I take my guests on the subway. But this time, every one of these hearty souls wanted to walk the full length of the Common and Public Garden. 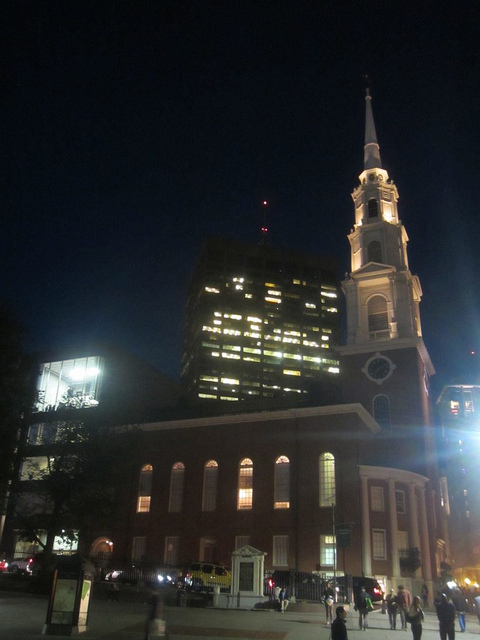 It was a real treat for me as the tour guide since we were able to pass by the new location of the First Church in Boston, a place not usually visited on the standard Faith-based Freedom Trail. Let me customize a group tour for you! I love the special challenge of a church group like the one I hosted today.